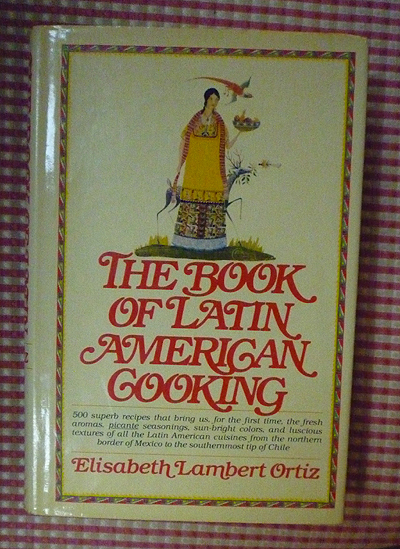 by Elizabeth Lambert Ortiz, Knopf, first edition, 1979. Hardback with DJ, 357 pages. A classic. Winner of a 1979 Tastemaker Award. From the DJ copy: "500 superb recipes that bring us, for the first time, the fresh aromas, picante seasoning, sun-bright colors, and luscious textures of all the Latin American cuisines from the northern border of Mexico to the southernmost tip of Chile." 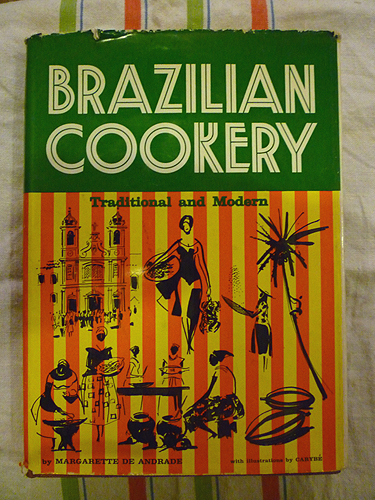 And this from a a review by Richard Olney: "(It) is the most complete, the most varied, the most exciting work I know on the cuisines that have grown out of the intricate intermingling of Indian (Mayan, Aztec or Inca) traditions and those of the Mediterranean and Africa. The food is real and the flavours are those that people from hot countries cannot live without. The encyclopedic INGREDIENTS glossary is, in itself, a remarkable work in depth, including, among other things, a much needed and highly enlightened discussion of well over a dozen varieties of capsicum peppers." Out of print. Remarkable condition: VG+/VG+.